Having trouble figuring out how to write an apology letter? It's a common problem because it's not something we do very often and are never sure how or where to start. 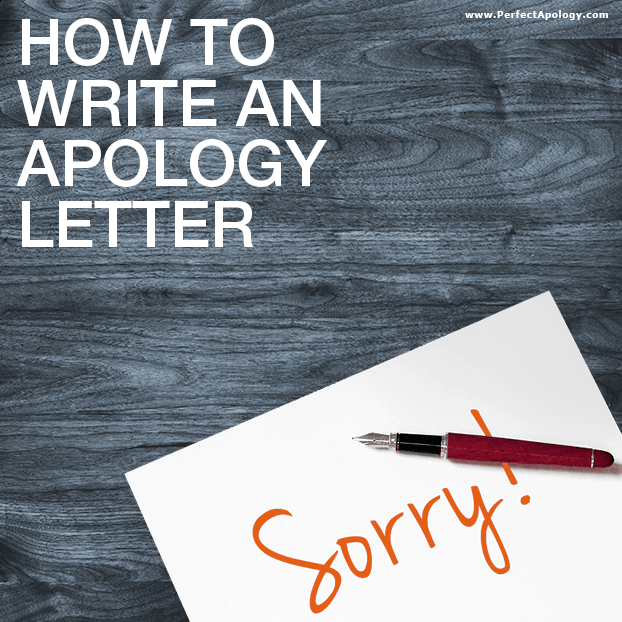 Below you'll find all the tips and guidelines you need to craft your own letter but remember that the most important element in ANY apology is that it comes from the heart—it's the key ingredient in offering a sincere apology. → First there's the content, the actual apology. What to say and how to say it. → Second, are the elements that surround the apology: format, length, & method of delivery. These three elements are related in important ways and play a role in how effective a written apology can be. To make it a little simpler, we've narrowed things down to 4 main components. These are the critical concepts that need to be included in the content of an apology, and easily integrated into a letter. 1. Apologize and provide a detailed account of what happened. It's important that the recipient knows that you clearly understand what went on, and where you went wrong. I'd like to apologize for my words and actions on Wednesday at the club. I should have been more supportive of both you and your ideas when you presented them. Being the last person to join our group, I saw that you were unsure of yourself and I used that to undermine your confidence. You were obviously well prepared and I shot down your ideas before even giving you the chance to explain them fully. 2. Acknowledge the hurt or damage done and take responsibility. You need to be able to show the person you're apologizing to, that you can see things from their point of view, can place yourself in their shoes, and take responsibility for your words and actions. This becomes the main body of the letter. I could see the hurt in your eyes and yet I continued to criticize. I placed you in a bad light in front of our friends and other members and I had no right or reason to do that. I intentionally embarrassed you and made you and everyone else there uncomfortable. More importantly I hurt you. I'm sorry, it was never my intention. The truth is I was stressed about work and in a bad mood, and I took it out on you. There is no excuse for my behavior and I really am sorry. 3. Express regret and ask for forgiveness. You need to let them know how much you regret your actions and by asking for forgiveness you give them the power of deciding on the future of your relationship. I regret how I acted and every word I uttered. I feel terrible about bringing my work stress and family stress with me to the club that day and releasing all that tension on you. It had nothing to do with you, your ideas, or your ability. Please forgive me. 4. In the closing of the letter, make a promise that it won't happen again and if appropriate offer some form of restitution. Without promising AND changing your future behavior there's no point in apologizing. I respect you too much and cherish our friendship too much to ever have this happen again. To make sure that it doesn't, if I ever feel that type of stress or if I'm in a bad mood in the future, I will simply stay away from those I care about until the feelings pass. Meanwhile, I want to let you know that I've spoken to everyone who attended last Wednesday about my behavior. I've also asked them to open up the floor to you next time we meet, if you feel up for it. I hope that over time you will learn to trust me again and know that in the end, I am always on your side. Open your letter by apologizing and describing what happened. Then, in the main body of the letter you let the person know that you understand the hurt you caused and how much you regret it. Finally ask for forgiveness, let them know how you plan on fixing things and promise that it won't happen again while describing why the relationship is important to you. The hardest part of writing an apology letter is often just getting started. We showed you a sample opening above, but it may not be a good fit for your situation. With that in mind, we're including a few more examples of openings from some of the best apology letters submitted by our website visitors. Hopefully these examples will help jump-start your own apology letter. “I'm truly sorry for mistrusting you. I don't know how to express my sincere apologies for the pain caused and the tears shed because of me. “To the love of my life... Please accept this heartfelt apology. If I had the ability to turn back time and take back everything that happened I would do it in a flash and never think that what we have, and had, could never be taken away by my selfish acts or my demeanor. “I know no amount words could express how truly sorry I am and how much regret I feel. I do not know how I could have been so foolish and for so long. I was blind and let my ego and pride get the best of me. “I'm truly sorry. I know you probably hate me right now and I don't blame you. I still have not forgiven myself and I don't think I ever will for acting how I did the last time we spoke. “Dear Kim...I've been really worried about writing. I know you’ve asked me not to. I will always respect your wishes. But for my sanity please let me apologize without my emotions doing all the talking this time. Get more detailed information on the content of an apology letter in our article on how to say sorry. ☑ Do... Write clearly and accurately. Be honest and show true sincerity. ☑ Do... Let them know that you understand why they are hurt and angry. ☑ Do... Make sure your apology letter describes why and how much the person was injured by your actions. Saying 'I know you were hurt' is not the same as saying 'I know how insulted and angry you were because of...'. ☑ Do... Request forgiveness but don't expect or demand it. ☑ Do... Let them know that you appreciate the role they play in your life and why the apology is so important—whether or not they accept it. ☒ Don't... Use qualifiers like 'if' or 'but' anywhere in your apology. 'I'm sorry if I hurt you' and 'I apologize but I was in a bad mood that day' sounds like you're making excuses or trying to justify things. ☒ Don't... Try to evoke sympathy as part of your apology. ☒ Don't... Share blame, take full responsibility. The final choices you make when considering format, style and delivery need to be based on your particular situation—it's pretty easy to figure out but if you need extra help refer to the three fundamental questions we ask in our article on how to apologize. The table below covers all the format guidelines for writing an effective apology letter and the best one to use for your situation. When the recipient of the apology was affected at a personal level. When the recipient is older and perhaps more traditional or conservative in character. In this case a personal touch will be appreciated. When the relationship is intimate and you want to add a personal touch. Taking the time to write a letter by hand speaks volumes about the importance you assign to the apology and the respect you have for the recipient. A handwritten format is always best for personal situations. When you're dealing with a business relationship or a non-personal relationship (e.g. parent to teacher, fellow club member, shop owner). In terms of format, a typed apology letter is appropriate in all business situations, although this should often be followed or preceded by a verbal apology. When you want to start with a pre-written sentiment or add some relevant visual content to your apology letters. This is certainly one of the easiest approaches, but pre-scripted messages often come off as insincere. A simple 'I'm Sorry Card' or a blank card with your own written message is the best way to go with this type of format. When typing or hand-writing an apology. When the apology is business related. Stationary or good quality paper should be used for apology letters whenever possible, especially in business. And, if you're looking for something more professional read our article on how to write a formal apology letter. When the infraction is major or when the repercussions are significant. More often than not the length of the apology will be determined by the severity of the offence. By following the guidelines to a perfect apology, you'll end up with the right length. Itemizing the implications of your error will help to convey your willingness to accept responsibility. When the mistake is minor and the hurt caused minimal. When you feel a card format would add a nice touch. A quick note is a nice way to excuse yourself for something minor or insignificant but still shows the recipient that it's important enough to be addressed. The big takeaway here is that your letter's length will really depend on how badly you messed up. The bigger the mess the longer the letter and that extra length will come through the detailed account of what happened and the hurt or damage done. When the mistake was serious. When the relationship is more formal or distant. When time is of the essence, but email is too informal. 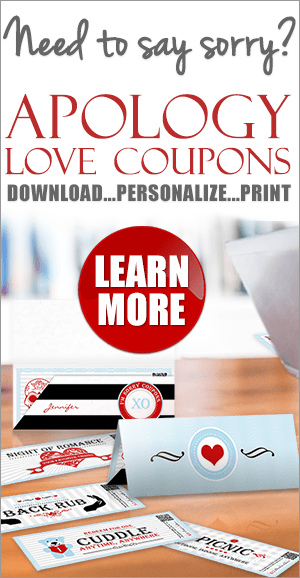 Emphasizes your commitment to making things right again by showing the recipient that you took the time to write out the apology, went to the post office, and made the extra effort to have it delivered quickly. Sending apology letters by priority mail is less appropriate for close or intimate relationships, unless the person is likely to be out of town for an extended period. Shows concern for the situation and gives the recipient the time to think things over prior to responding. Email may be the best (and fastest) approach if that's the way you typically communicate with this person, but using an approach that is NOT typical (a written letter) may be the better choice in some situations. Email can be an appropriate way of delivering an apology letter. However, keep in mind that it lacks the personal touch of a handwritten letter and doesn't have the same impact as opening an envelope and reading something while holding it in your hands. When the relationship is close or intimate. When you feel more comfortable expressing yourself in writing, even in an intimate relationship. When you want the person you hurt to have something tangible that reflects how sorry you are. Depending on the severity of the infraction (the recipient may not be open to seeing you at all), this is an ideal way to resolve the impasse in the relationship by combining the benefits of both a verbal and written apology. Writing an apology letter is easy when you know what to include, what you need to say, and how to say it. But it doesn't end there. You need to consider the elements that surround your apology, like format and style as well. They hold subtle distinctions which, when applied correctly along with the ingredients of a perfect apology, will help you show your sincerity and achieve your goal of forgiveness.